Swift action by the Hanover police on Monday night may have spared residents of Cascade and Pond Side districts the terror of dealing with a possible serial killer. 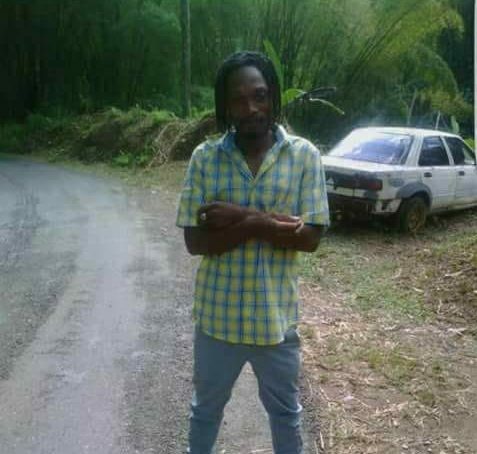 Between Saturday and Monday, Kemar Watson, the Cascade resident cut down by the lawmen, killed his best friend and another man from the community in separate incidents, severing both their heads in a manner which has left residents in shock and denial. “Mi glad police kill him,” one female resident told the Western Mirror, further adding that the community had been on edge ever since Watson’s first gruesome murder. In that incident, which took place on Saturday, July 28, 2018, 22-year-old Keniel Hall, unemployed of Rejoin district in the parish, went to visit his best friend, Watson, early that morning. On his arrival, the unsuspecting Hall reportedly entered the yard and was shortly thereafter greeted by Watson, who swiftly attacked him with a machete. Residents reportedly heard sounds of a struggle coming from the yard and summoned the police, but by the time the lawmen arrived, it was too late. Watson had already fled the yard for a nearby hill in the community where he hid among the bushes, leaving the lifeless – and headless – body of his best friend for the lawmen to recover. Beneath a tree, some three feet away from the body, Hall’s head was found with its face missing its eyes and its mouth missing its tongue. The gruesome murder has left the community reeling, with some residents speculating, in the absence of a clear motive for the killing, that Watson may have been acting on the advice of ‘Obeah Men’ related to the still ongoing Lottery Scam. One resident posited that some of the recent killings which have rocked the community are not random, but are as a result of participants in the illegal activity being told they have to sacrifice the life of someone dear to them to increase their riches. The lawmen were unable to confirm these speculations. Watson’s second victim, who was killed in a similar manner just two days later (Monday), has been identified as Howard Ellis of Cascade district in the parish. Unconfirmed reports reaching the Western Mirror are that Ellis was sitting at home around 8:30 a.m., when he was confronted and attacked by the machete-wielding Watson, who inflicted chop wounds to Ellis’ back, neck, legs and shoulders. Ellis reportedly ran from his home, but was chased by Watson, who caught up to him and delivered several additional blows, a couple of which ensured that Ellis’ head was also severed. Ellis’ body was reportedly found along a roadway some distance from his house. It is unclear how Watson came to confront the lawmen who were on patrol in the area, but reports suggest that following his brutal murder of Ellis, residents launched a manhunt for him, while alerting the police of such. Further details revealed that after the manhunt had subsided, lawmen were on patrol in a section of the community when they were confronted by Watson, who it is reported, postured aggressively towards the contingent of officers. Fearing for their lives, and after several ignored warnings extended to Watson, the lawmen opened fire on the suspect, killing him on the spot. Councillor for the Sandy Bay Division and Deputy Mayor of Lucea, Andrea Dehaney, expressed condolences to family members of the deceased, adding that residents of the parish were shocked when they learnt of the details surrounding Watson’s murders. “The community is in shock and needs all the support it can get,” she added. The Deputy Mayor also called for regular police patrols in the affected areas, even as she applauded the police for their hard work and swift action. “We commend the police for the swift action they took, but they also need to patrol these areas more frequently, both on foot and in vehicles,” she concluded.